We are a small, locally owned business in the Pacific Northwest of the USA. Our passion is travelling by motorcycle, be it a weekend trip or a several weeks long trip abroad, on pavement or off-road. 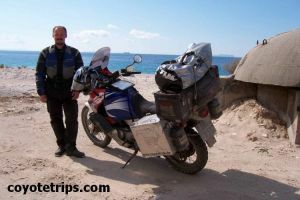 Stefan Dietz, the owner, is a German mechanical engineer and has travelled more than 200,000 km (125,000 miles) by motorcycle in 38 countries. 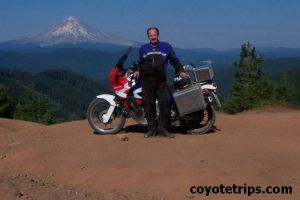 Our products are designed and made rugged for long distance and adventure motorcycle trips. Stefan has been designing and selling motorcycle gear since 2006. 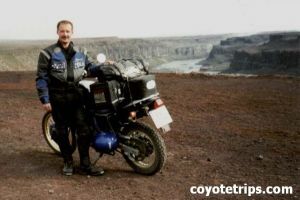 Many products he designed initially because he couldn't find exactly what he needed as an adventure motorcycle traveler. All products are field tested by Sefan and his associates (also adventure motorcycle travelers). For returns, exchanges, and warranty please see our Terms and Conditions.